MountainStar decided six months ago to embark on a re-branding project. 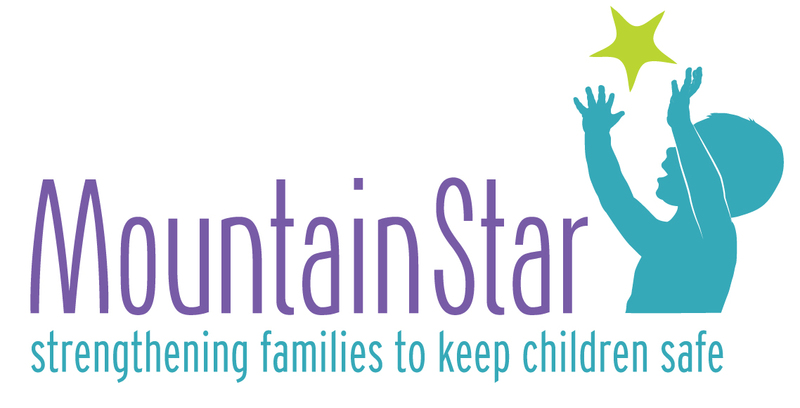 As much as we love our original hand-drawn mountain logo, we want a logo that represents the "new" MountainStar as a tri-county program, as well as our ongoing dedication to vulnerable babies and toddlers. We hope you love our new logo, tagline, and colors as much as we do! You'll now begin to see it on materials, mailings, and more so be sure to remember - it's still us, doing the same work to prevent child abuse in Central Oregon. Just with a new "look" thanks to Dyan Roth Design!